I caved last night and let Brian pick out a water balloon kit. 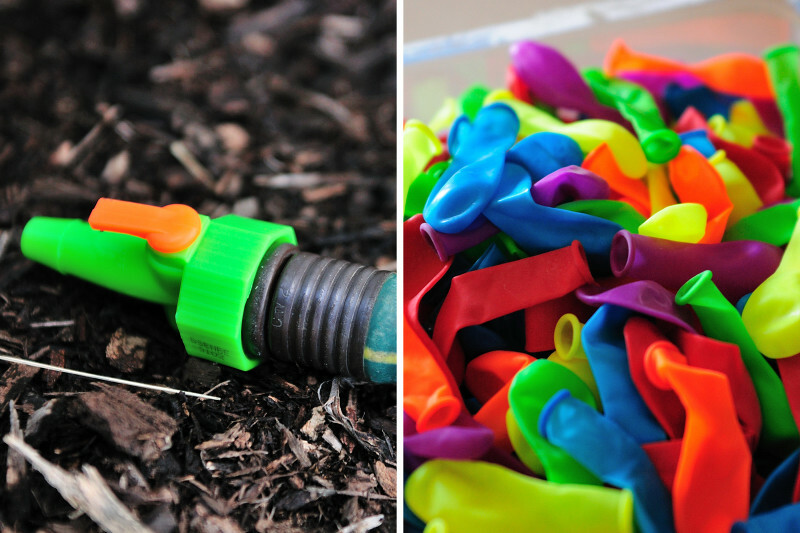 This includes the filler (conveniently threaded to use with your outdoor spigot) and a large assortment of balloons, ready for filling and ensuing water battles. He has the filler already set up outside. Just as long as he doesn't involve me or any open windows! The sad thing - the weather has cooled down considerably, so any water activities would be result in cold and shivering kids. Of course, that won't stop them.